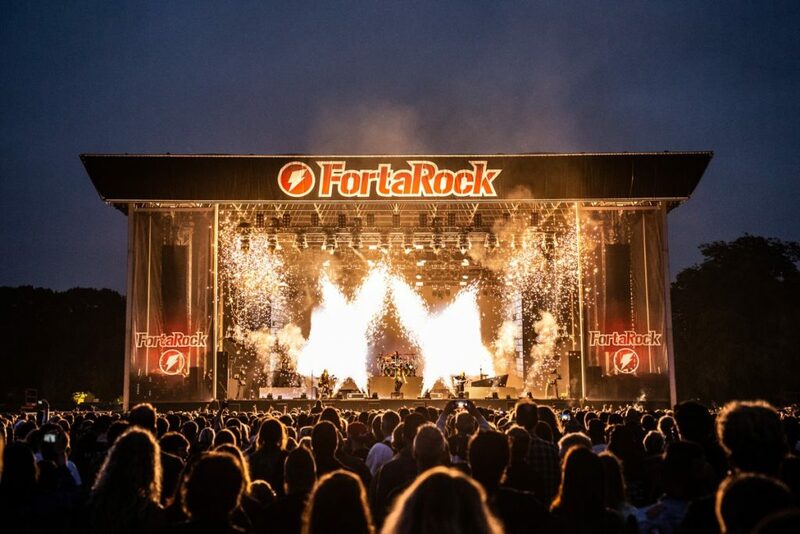 After a great first day of FortaRock 2018 and a short night, time has come for the promising Saturday of this edition of FortaRock. Next is Avatar. Before seeing them at FortaRock I did not know Avatar at all, that’s why I thought it would be wise to do some research and prepare myself by listening to some songs and what I heard I liked very much! But what I didn’t know was that if you come to watch Avatar, you get a lot more than just the music! Because that’s what happened when the band took the stage at FortaRock. Their new album titled Avatar Country has a medieval theme and plays with a lot of ludicrous and a not to be taken serious form of self-glorification. This already starts at the beginning of their show when the speaker calls out to the audience to take two minutes of silence for their King. This, surprisingly enough happens all in Dutch! When the speaker is done, one of the band members comes onto the stage dressed as a king wearing a Royal cape and a crown. 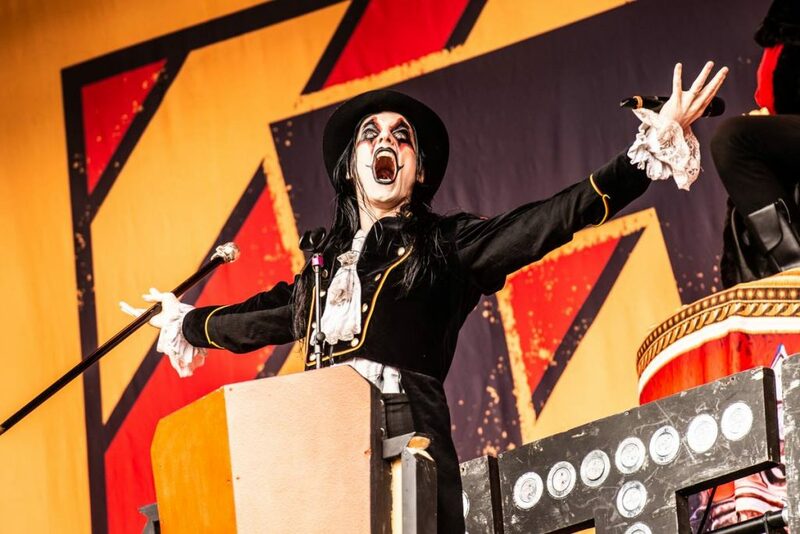 The characteristic singer of the band, Johannes Eckerström also enters the stage, wearing his signature makeup and outfit which is best described as a mix between the Penguin and the Joker from Batman. But I have to say that he is a bit weirder than that because he could have just as easily have walked out of the Hellsing anime or perhaps American Horror Story Freak Show. I think that this last example is very applicable when thinking of the song Smells like a Freak Show. I can’t get over the fact how spot on Avatar’s overall presentation is! Even the crewmembers are dressed and act as Royal servants to the obvious Avatar King, in a very humble way they hand instruments to the Royal band members! Vocalist Johannes Eckerström triumphantly leads the whole band and despite the fact that everything that he does is deliberately comical, it doesn’t mean that people shouldn’t take this band serious. Let me explain, if you are a band like Avatar and you choose to be this big theatrical act rather than just make music, then you have to do it all the way. Nothing is “just” with Avatar. Everything is thought of through even the smallest details. The act surrounding the music serves the music rather than overshadowing it. This is very well done! This is Avatar! What you see is what you get! Musically the band plays like a well-oiled machine. Johannes Eckerström has a hold over the audience like I have not seen very often. His vocals are easily among the best ones I have heard on FortaRock 2018 and he is also very versatile and capable of singing in various styles. From grunting to singing clean to hitting those pesky high notes, this man is a phenomenon on itself! Well, coming from somebody that before the festival hadn’t heard from this band at all anyway. The music itself goes in all directions. One moment you are listening to really hard metal and the next moment you are listening to a country song in the title track of their latest album called Avatar Country. In short, there is a lot of variation in the set list. 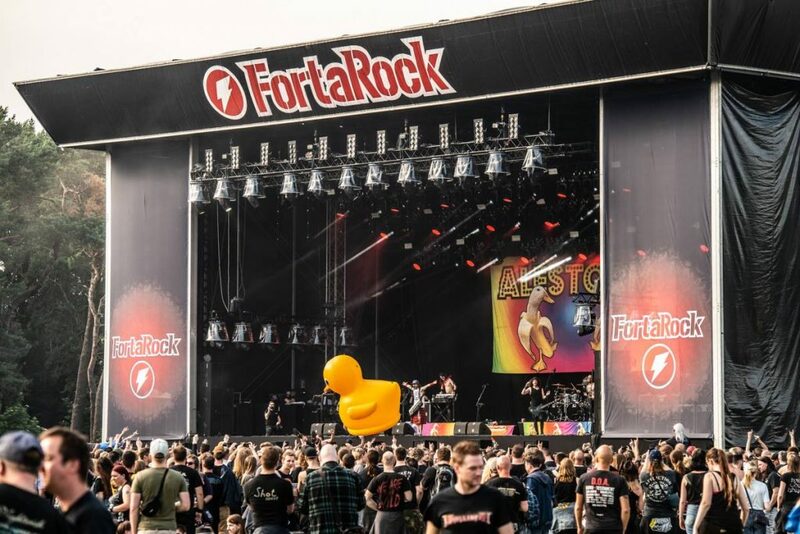 The comical aspect which I spoke of earlier is what makes Avatar unique in the selection of bands performing at FortaRock and it is certainly a force to be reckoned with! I myself am planning to listen to this band more often and for me Avatar was the biggest surprise of FortaRock 2018! While Baroness is playing their music at the tent-stage and For I Am King is delivering their show to the audience at the theater-stage, we chose this moment to get something to eat, to prepare for the rest of the day. Then it was time for Alestorm! What a lot of energy does this band have! I did not see them live before FortaRock, but I did know their music. Straight to the point pirate metal and for those of you that do not know what that entails, it involves a lot of drinking, beer throwing and dancing, the metal way! Musically it isn’t all that complex and it doesn’t take itself too serious, but that is the whole point! Vocalist Christopher Bowes, dressed in a white shirt and kilt and holding a keytar in his hand, had absolutely no problem entertaining the crowd. Even if people never heard of Alestorm he, and his band of course, made sure that people wouldn’t forget them. The signature song Keelhauled serves as a well-chosen opener and the crowd knew exactly what they were going to be in for. In the middle of the stage behind the band members there hung a banner with two bananas that had a duck face on them. There was also a huge rubber duck on stage that later on in the show was thrown into the audience and was tossed around enthusiastically! To me the music comes across as a bit of Flogging Molly like but with lyrics about pirates and about the pirate life and let’s not forget the low pitched heavy metal guitars! I wasn’t able to view the whole show properly because I couldn’t get a great spot because there was such a large crowd of metal pirates before me. This way I could get a pretty good picture of what it was like to stand in the audience during one of their shows. Because of this I could also see that at a certain point the audience were sitting on the ground acting like they will rowing a boat. This is a normal thing to do at an Alestorm show as I verified later with my buddy Tim, but to see and experience it, is a whole other thing! While Thy Art Is Murder is trying to destroy the theater-stage, we went to Satyricon’s show at the tent-stage. This band was also part of the line-up of FortaRock’s first festival-edition, back in 2009. Right after the symphonic, ominous, horror-like intro, Satyricon goes full throttle. Tracks like the faster-paced Now, Diabolical as well as the bit slower-paced, new tracks like Deep Calleth Upon Deep and To Your Brethren in the Dark are part of tonight’s set list. There is very much energy coming off of this tight, heavy show. 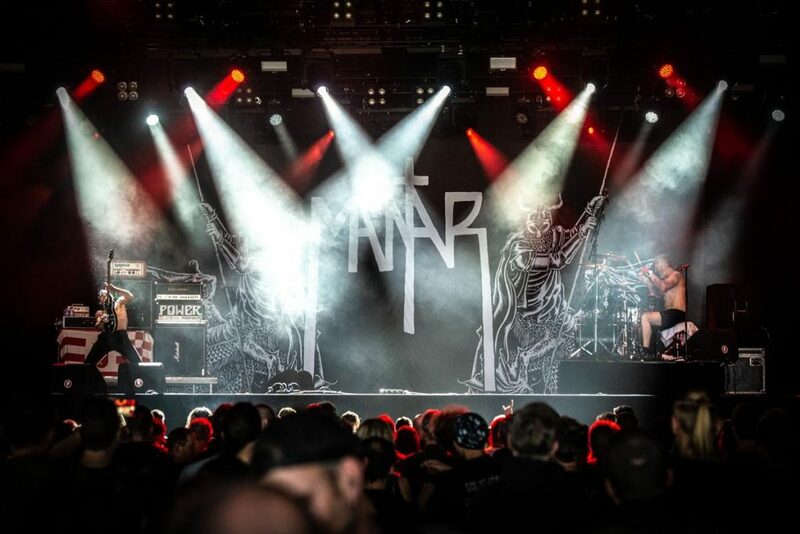 Led by front man Satyr with his raw, powerful voice and accompanied by his iconic microphone stand, Satyricon truly delivers a show that is as solid as a rock. 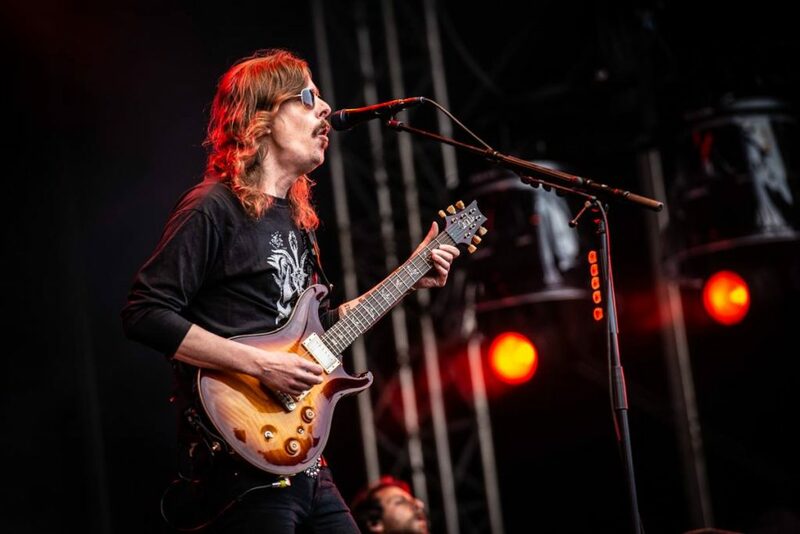 The next band, Opeth, is the last main stage-band before the headliner of FortaRock 2018. During their set Opeth gives the audience heavier parts with deep grunts as well as some a bit calmer, more melodic parts with some clean vocals. Especially the guitars and the keyboard regularly add some progressive vibes to the music. However, Opeth’s show is very guitar-driven. Opeth’s guitarists show that they are very good at playing their instruments, whether they play with distortion as well as without it. This, combined with the solid drums delivers a solid show to the many people watching them. Then it was finally time for Nightwish, the band I personally looked forward to the most. I saw them for the first time in 2015 in the Heineken Music Hall in Amsterdam. This was the first time I ever saw them. But this FortaRock weekend I had the strong feeling that Nightwish would really go all out. 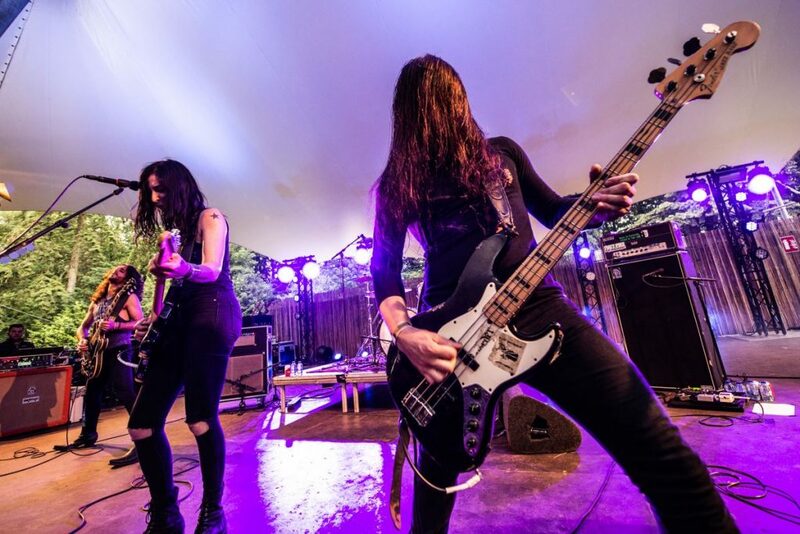 This, because lead singer Floor Jansen told Dutch newspaper De Volkskrant that the band would make it a special show because it had been a while since they were on a Dutch metal festival and were back in the Netherlands. Well, let’s just say they did not disappoint! Full disclosure, I have become a big Nightwish fan since Floor Jansen joined the band. I didn’t like Nightwish at all prior to that. I know many fans might disagree with me, but I rather hear Floor sing in Nightwish than one of her two predecessors! I especially like the fact that their show was going to be a trip down memory lane due to the release of their new Decades album. Songs from every period in Nightwish’s history graced the set list. All sang by the charismatic and energetic Floor, who also had a big dose of humor! The show started with the song End of all Hope. I was ecstatic because I have always wanted to hear Floor sing that song. But I will try to be somewhat objective now. It is absolutely unbelievable what Nightwish as a collective can achieve. Under the leadership of Floor’s unmatched vocals, the band is a massive force on stage, playing one golden oldie after another. 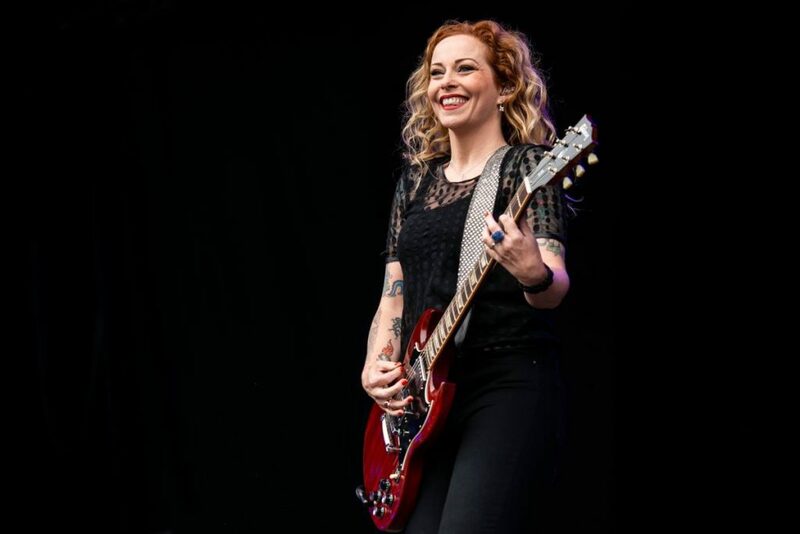 And I don’t know if there are still people who doubt if Floor is still treated as newcomer in the band, let me tell you one thing, she is absolutely adored by all the members in the band! The band truly kept its word and gave it their all. There were so many flames that it actually looked like the whole band was on fire! Not only there were vertical flames but there were also diagonal flames, smoke, a lot of fireworks and an intense light show. There was also a massive screen that showed beautiful artwork corresponding to the song that was played at that moment. All these things together made for the fact that Nightwish was a worthy headliner. The beautiful visuals supported the songs so well that it truly created the mystical and epic atmosphere you need at a Nightwish show. Also, be sure to check our album reviews of Alestorm’s No Grave But The Sea (here), Avatar’s Feathers & Flesh (here) as well as Vuur’s In This Moment We Are Free – Cities (here). 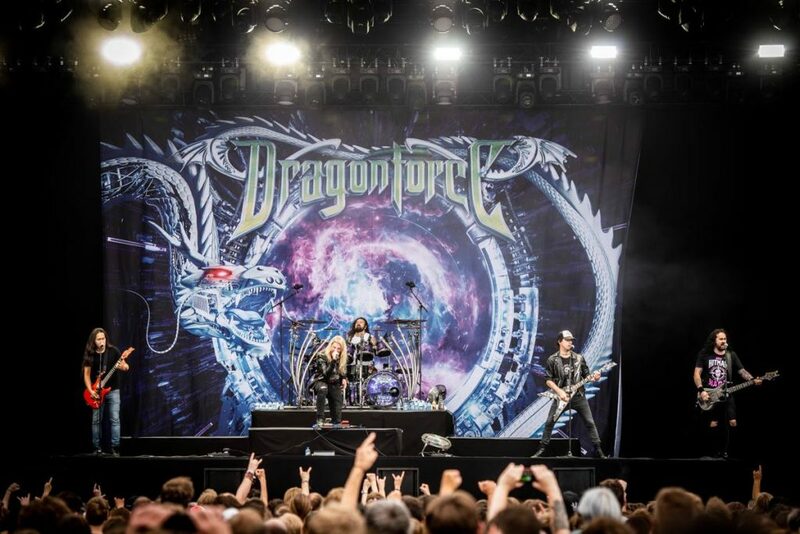 You can also read our earlier live reviews of Dool (here), Nightwish (here) as well as Vuur (here). We also did interviews with FortaRock’s Freek Koster (here), Vuur’s Anneke van Giersbergen (here and here). Furthermore we also mentioned Vuur in two parts of Promoting Bands (here and here).